HP has added four new HD monitors to its like up with the launch of the HP 2010i, HP 2210m, HP 2310m and the HP 2710M. 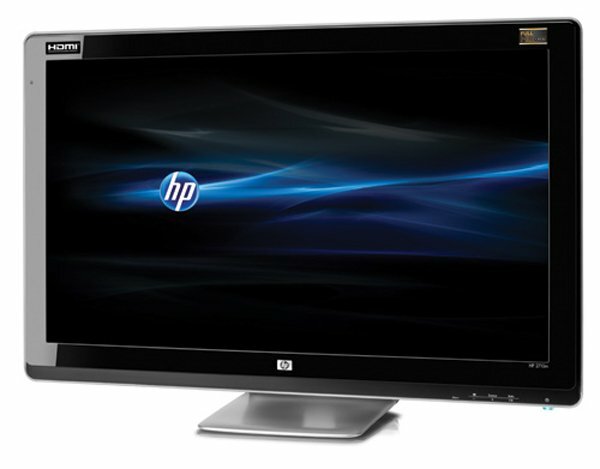 The HP 2010i features a resolution of 1600 x900 and can display HD video in 720p, whilst the other three feature a resolution of 1920 x 1080 pixels and are capable of Full HD. The 2010i features a 20 inch LCD display with a contrast ratio of 1,000:1, a 5ms response time and it comes with a VGA connection, HDCP-compliant DVI-D and audio inputs. The 2210m features a 21.5 inc LCD display, and also comes with VGA, DVI-D and HDMI, whilst the 22310m features a 23 inch LCD display and it has a 3ms response time plus VGA, DVI-D and HDMI. The HP 2710M features a 27 inch LCD display and comes with the same features as the other models, it has a 2.4ms response time. All models will go on sale today, with prices starting at $180 for the 20 inch model, $220 for the 21.5 inch model and $260 for the 23 inch model.